We’re moving right along and already it’s day 4 of the “Get Loaded” Blog Tour de Force, an Indie Book Collective event. We’re taking a trip across the pond to spend the day with author Marissa Farrar , who penned The Dark Road , book number four on this awesome blog tour. 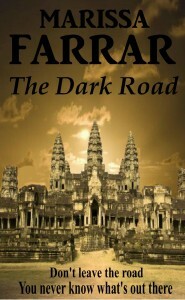 The Dark Road is Marissa Farrar’s 2nd novel and is set in the exotic country of Cambodia. If you like fascinating locales, ancient temples, curses, and long-dead kings, The Dark Road is another MUST read! Join a group of travelers and immerse yourself in a frightening, night time world. A group of backpackers take a harrowing bus ride along a “road” that leads from Bangkok, Thailand to Siem Reap, Cambodia. After crossing into Cambodia, one of the group goes missing from the road, and it isn’t long before the remaining travelers realize they will be in the fight of their lives, and it’s anyone’s guess as to whether or not they will make it through the night. Hair raising and ominous come to mind just reading about this author’s actual journey through Thailand to Cambodia. I got the shivers just reading the recounting of her storm ridden night time bus ride. Luckily for us, this is the journey that got her imaginative author’s mind a whirring and hence The Dark Road was born! I mean, can you imagine being on a nocturnal journey far away from home with something terrifying and supernatural chasing after you wanting to drain you of your life’s blood? Good gosh! Scary indeed! You need to read The Dark Road or you will be missing out on an adventure and a half! The Dark Road is available for immediate download at Smashwords. Visit Marissa Farrar’s blog Ramblings of an unkempt mind… and check out her Facebook page and give it a like! You can also follow Marissa’s tweets @MarissaFarrar on Twitter. 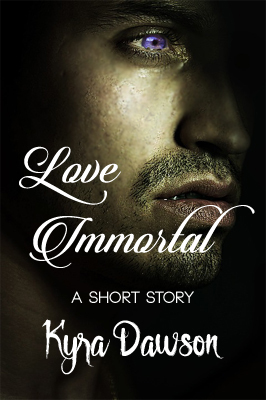 Enter for your chance to win a free Kindle! Good luck! ~P.S.~ There are so many great books on this tour that I have no idea who will win the book trailer! And there are more thrilling authors and their books to come! Whew! This is one hot blog tour!